No, this book is not about running, but it’s about a trail, and hiking and running go hand in hand for many of us. (Besides, nearly any trail you can hike, you can run.) Grandma Gatewood’s Walk is about the person known to nearly all Appalachian Trail hikers as someone who make it “a thing,” seen almost as the grandmother of the trail itself. I was drawn to the book because of the cover image. “Grandma Gatewood,” as she’s known to nearly everyone who is familiar with the story behind the Appalachian Trail, looks like my Grandma Lorice looked when I was little. 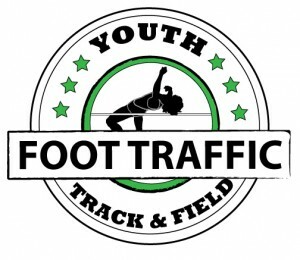 That same oddly-formal “active wear,” the low-tech sneakers, and the importance of form over function. She looked like a no-nonsense woman who knew how to get things done and relied only on herself. Emma Gatewood was born in 1887 in Ohio. Back then, women didn’t get out and make their way in the world as many do now. Their identity was tied to their parents, and then their husbands. Even an independent, strong-willed woman like her could quickly be eclipsed by the demands of keeping house and raising children. If this was the extent of her early life, it would be interesting enough. But Emma Gatewood was subjected to incredibly horrible abuse by her husband, and without giving away too many details, relied on her own strength to protect herself and her 11 children. It wasn’t until she was 67 years old that Emma Gatewood decided that she was going to hike the entire Appalachian Trail. She’d been inspired by an article in National Geographic, which painted the experience as completely enjoyable, not strenuous, and a logistic breeze. She set off with one low-tech bag (think of a canvas laundry sack used by high school athletic programs) and a walking stick from Mount Oglethorpe in Georgia to the trail’s initial terminus at Mount Katahdin in rugged Maine. This book is extremely engaging, delving into her early life, her first AT through-hike, and the development and impact of the trail. Author Ben Montgomery, a reporter for the Tampa Bay Times, tells the story without flinching or romanticizing details of the Gatewood’s struggles. It’s almost as her “do it well if you’re going to do it all, but don’t make it out to be anything it’s not” attitude was adopted by Montgomery in the book. I found the book to be extremely engaging and well-written, and came away with a newfound inspiration to believe in myself more and know that mistakes are learning opportunities, not ultimate failures. The book, although centered on her first hike, way back in 1957, also offers a unique look into why and how the AT was developed. The best books, in my opinion, are the ones that inspire you to learn more about a new topic, and after reading this I have requested Montgomery’s other book (The Leper Spy) and read Bill Bryson’s more humorous book about the trail. What’s clear about Grandma Gatewood’s story is that she was an unlikely – but in hindsight – perfect person to unveil the Appalachian Trail as it was at that time, warts and all. 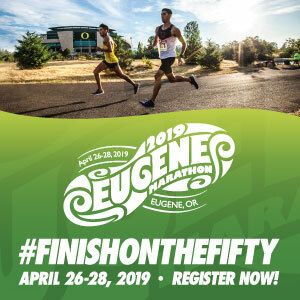 Oregon readers will also find it interesting that Grandma Gatewood also hiked the entirety of the Oregon Trail in 1959, finishing in Portland. 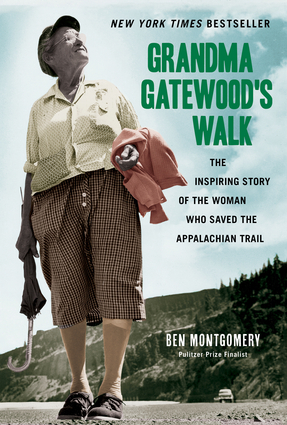 Grandma Gatewood’s Walk is available on Amazon for less than $10 for the e-book, and around $15 for the soft-cover. You can also likely find it at your local library; Washington County Cooperative Library Services does have it in their catalog and you can request it online as an e-book or pick it up at your nearest branch. Grandma Gatewood’s Walk is published by Chicago Review Press. Kelly, you are so write about how well-written this book is and what a no-nonsense person Grandma Gatewood was. In case you’re interested in learning more about her, I hope you’ll check out our website, http://edenvalleyenterprises.org/progdesc/gatewood/gtwdinf.htm , where we have information about our project to document her life which includes an Emmy-nominated documentary, TRAIL MAGIC: THE GRANDMA GATEWOOD STORY. All of us who have worked on this project have been inspired by her tenacity and toughness.